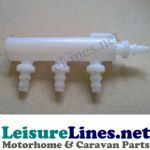 Inline Smell Trap for 28 mm easy flow push fit caravan motorhome waste water pipe system. Connections 28mm Female. Use WD1424 to adapt to 20mm 3/4" waste pipe system. Not for pumped water under pressure. Suitable for plumbing most waste water systems and extended remote tank drain valves. Grey is for Waste Water systems. 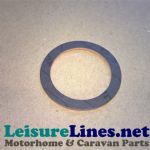 25 / 28 MM EASY FLOW PUSH FIT WASTE PIPE SYSTEM Larger bore easy flow push fit waste water piping system for Motorhomes & Caravans, easily fitted by simply pushing the rigid pipe and fittings together. Much higher waste water flow rates from your sink and shower will make a significant improvement to the drain-ability of the kitchen sink. Supaflex smooth bore waste pipe mixes into the system to make installation in tight spots easier. You can switch between rigid and 25mm Supaflex as many times as necessary, by using WD1322 & WD1323 adaptors. WD1323 can be put into any fitting including sinkwastes to go straight onto 25mm Supaflex for pipe runs, to change from 25mm Supaflex onto rigid pipe or the reverse use WD1322. This range is suitable for most installations. 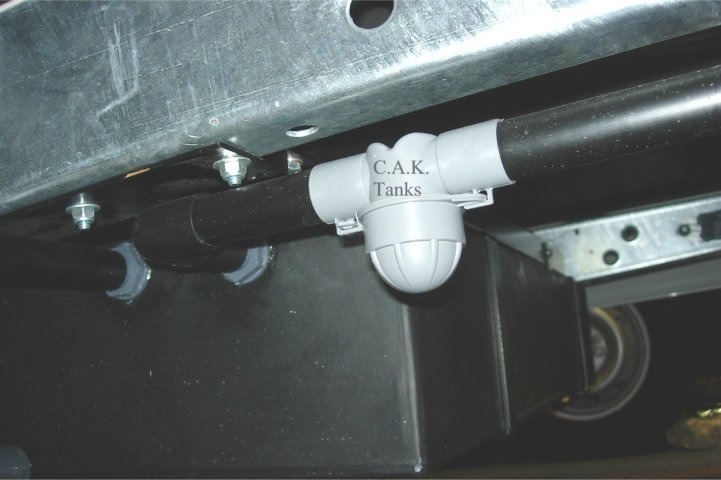 Small panel van conversions should use 20 or 25 mm Supaflex, or a combination of 25mm supaflex hose below floor, to snake around obstructions on route to waste tank, with 28mm rigid used on the straighter runs. Larger systems can use any combination of the fittings, 28mm rigid and 25mm supaflex, to create the complete waste system.